I had a friend recently tell me she cannot eat chicken with skin and bones. It freaks her out somehow. Such a pity. Well, this dish is for her. 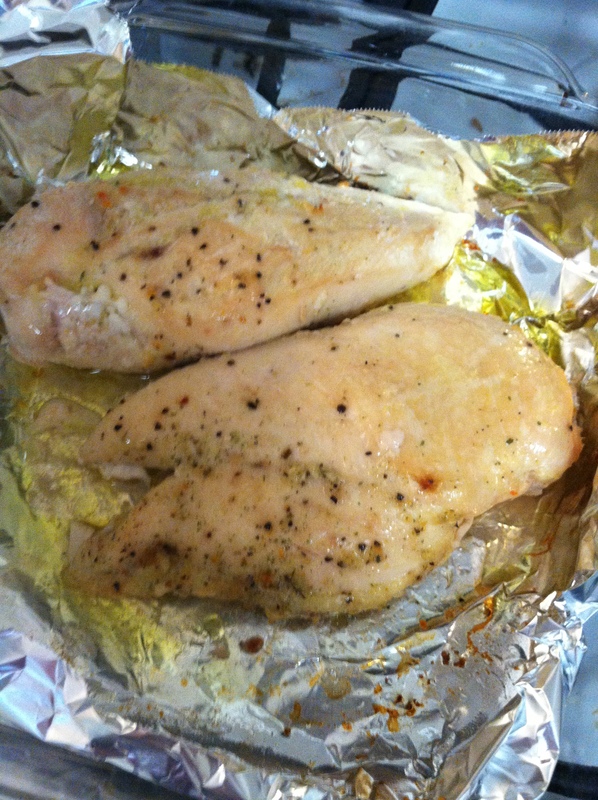 Oven baked chicken breasts that I didn’t even touch. Here is how I did it. 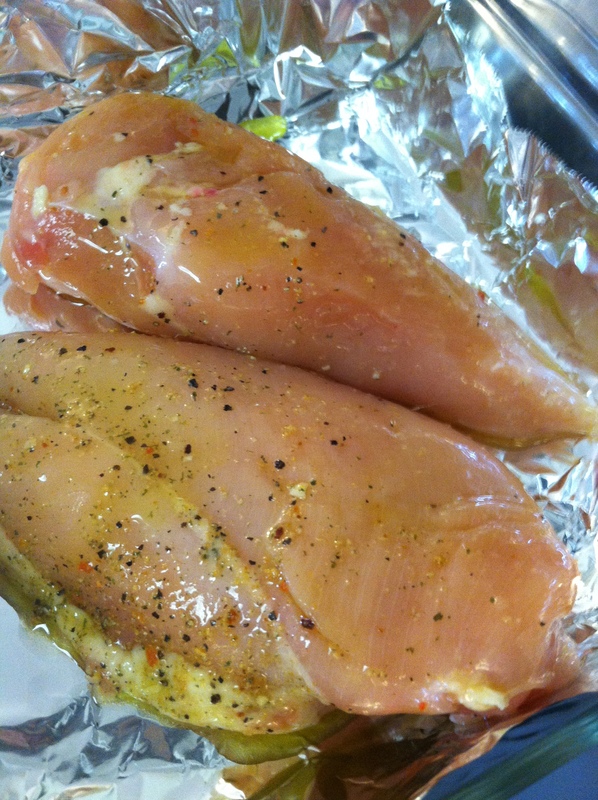 I bought some chicken breast cutlets; not too big, not too small. I slid the chicken in a zip-top bag. Then I added my seasoning; salt, pepper, and poultry seasoning. Add a few tablespoons of olive oil. Then I closed the bag and gave it a nice massage. I put it in a aluminum foil lined baking dish. Bake at 350 for about 40 minutes or so. I served it with couscous, snap peas, and B and I had a bit of that leftover pasta I mentioned in my weekly meal plan.